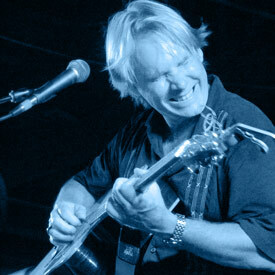 Rob Crosby began his musical career in his home state of South Carolina and built a regional following. After moving to Nashville he achieved national success by writing a #1 song for Lee Greenwood, “Holding a Good Hand”. He was signed by Arista Records and his first three singles reached #7, #8, and #11 on the country charts. Rob went on to chart 8 songs in the national top 40 as a recording artist. As a songwriter he wrote the #1 for Andy Griggs, “She's More", the #5 “Concrete Angel" for Martina Mcbride, the #1 “Friday Night" for Eric Paslay, and #1 hits in Europe for Ilse De Lange and the Common Linnets. His songs have been recorded by Luke Combs, Lady Antebellum, Brooks and Dunn, Restless Heart, Blackhawk, Lee Brice, Carl Perkins, The Wilkinsons, Boy Howdy, Whispering Bill Anderson, The Oak Ridge Boys, Tracy Lawrence, Craig Morgan, Ty Herndon and many others.